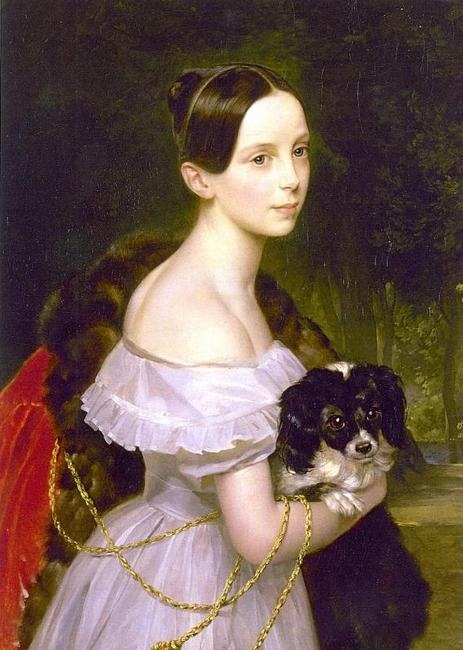 Among the works of Karl Pavlovich Briullov in the Russian Museum is the portrait, is traditionally regarded as the image of a certain Uliana M. Smirnova. It dates from the late 1830-х years. The painting entered the collection of the Russian Museum in 1920, was formerly in the marble Palace, in the collection of Grand Duke Konstantin Konstantinovich. Some time the canvas was designated simply as "portrait". Despite the fact that the artist's signature on the painting is missing, the authorship is not in doubt. In 2017, thanks to the opening of the experts of the Russian Museum, this painting has got its history: portrait of Smirnova was a picture of Grand Duchess Alexandra Nikolaevna (1825-1844), the youngest daughter of Emperor Nicholas I. Now it's safe to say that this is the only almost complete portrait of a member of the Imperial family in the creative heritage of the artist. For this reason, the case of determining the true name of the character scenic masterpiece "the great Karl" can be considered unique. the Exhibition "the Masterpiece of Karl Briullov. A new definition of the character" opens today and will run until 1 October 2018.